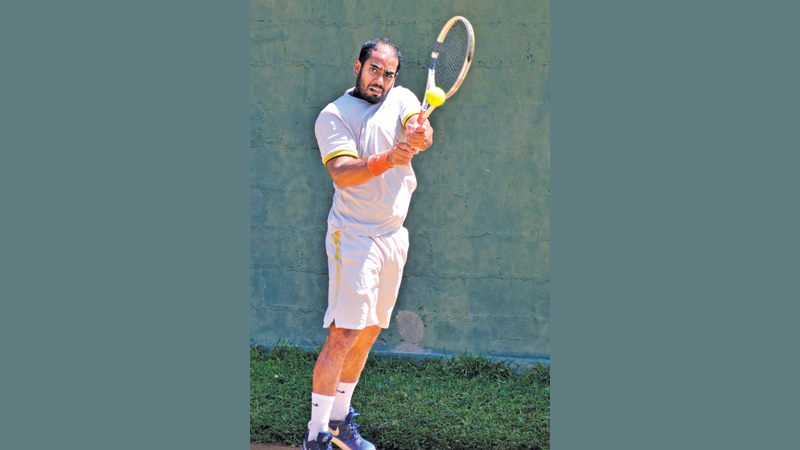 Sharmal Dissanayaka clinched a double winning the men’s singles and doubles partnered by Rukmal Cooray as the SSC Open Tennis Championship worked off at the SSC courts. Sharmal won the men’s singles final against Yasitha de Silva 6/0, 6/0. He teamed up with Rukmal to win the doubles title beating Yasitha de Silva and Sanka Athukorala 6/4, 6/3. Rukshika Wijesuriya won the women’s singles crown beating Kavindya Silva 6/2, 6/1. The under 18 boys’ singles event saw Chathurya Nilaweera bagging the title beating Shivendra Perera 6/2, 6/3 in the final. The under-18 girls’ title was won by Savini Jayasuriya who defeated Senuri Alexendra 6/0, 6/2 in the final.